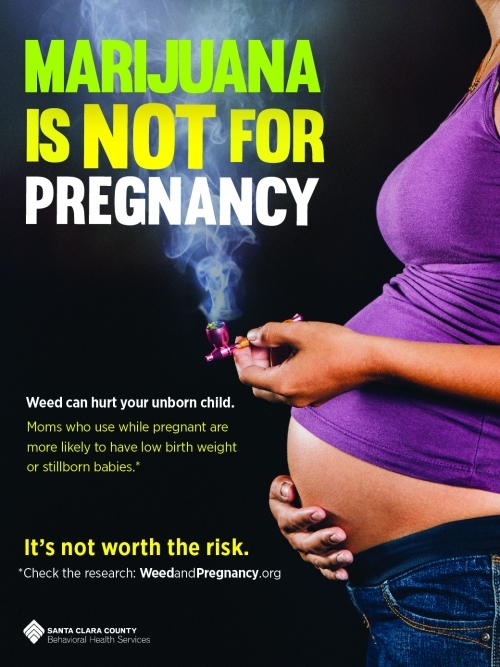 BWA and Santa Clara County launch "Marijuana is Not for Pregnancy"
Marijuana is Not for Pregnancy is a public health campaign created by Better World Advertising for the Santa Clara Valley Health and Human Services and Behavioral Health Department: Department of Alcohol and Drug Services Santa Clara County. This countywide campaign launched September 3rd, 2018 and is aimed at women ages 18-35 living in Santa Clara County. The campaign is raising awareness about the potential health risks posed to infants exposed to marijuana use during pregnancy. Ads are schduled to run via buses, transit shelters, ECO posters, Facebook/Instagram ads, websites/apps including those focused on maternity and motherhood, radio (Pandora), and campaign material (palm cards and posters). All ads direct users to WeedAndPregnancy.org, where individuals can find more information.